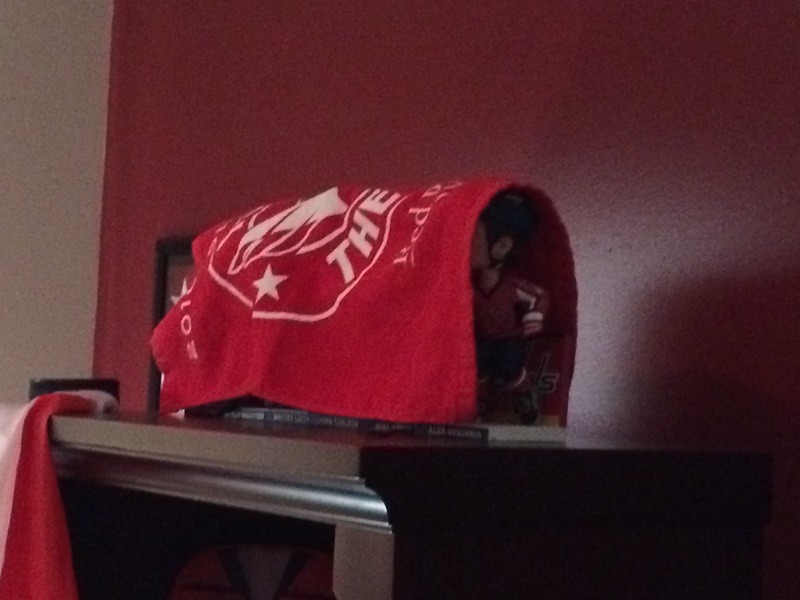 First finish….our Washington Capitals hockey season is over. They lost in game 7 in the second round of the playoffs. Like birds in a cage, Charlie has covered them up until the fall. 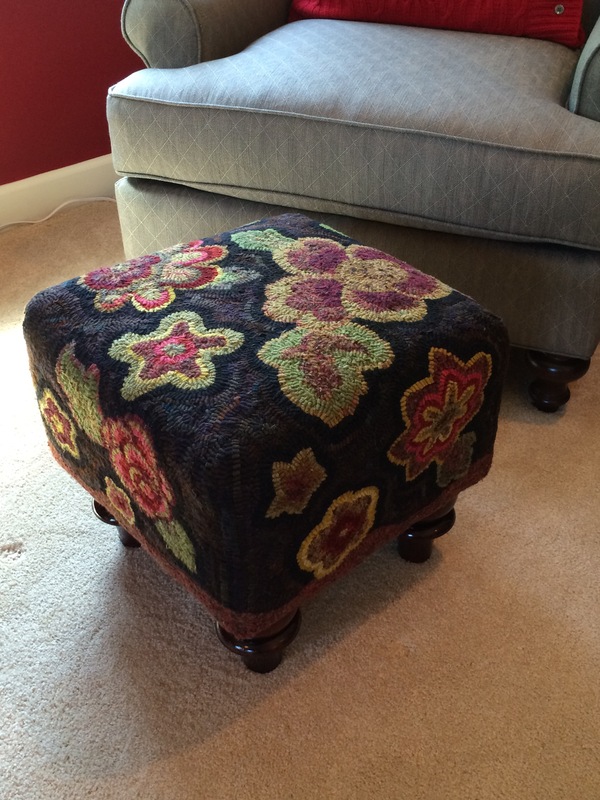 I finished my hooked footstool in time to exhibit in the Virginia Rugfest show. It was a photo finish…completed the night before the show. It’s one of a pair, the other one will wait until the winter. Wool is hot to work with so it’s a good cold weather project. Our nephew Tim and his wife Kasie are expecting their first child in July. Her name will be Jamie Mae and there was a baby shower last weekend. I wasn’t able to attend but happily had 2 completed projects I sent for gifts. 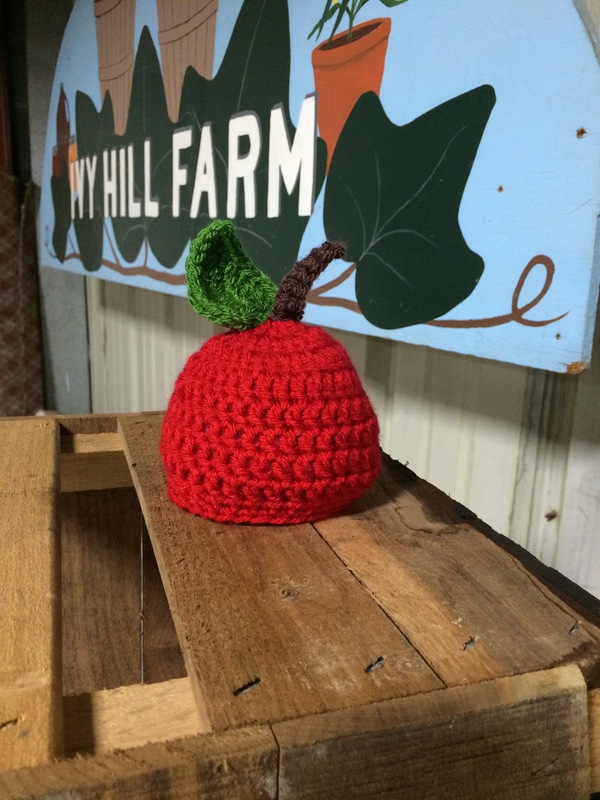 The first is this little apple hat. Maybe they will have her photo taken with it. The big gift was this Goin’ to the Fair hooked rug. It’s a good size, 17″ X 55″ by The Old Tattered Flag, one of my favorite online wool / hooking connections. The baby room decor is farm animals so I thought this would fit in and perhaps be something Jamie will enjoy as an adult someday. 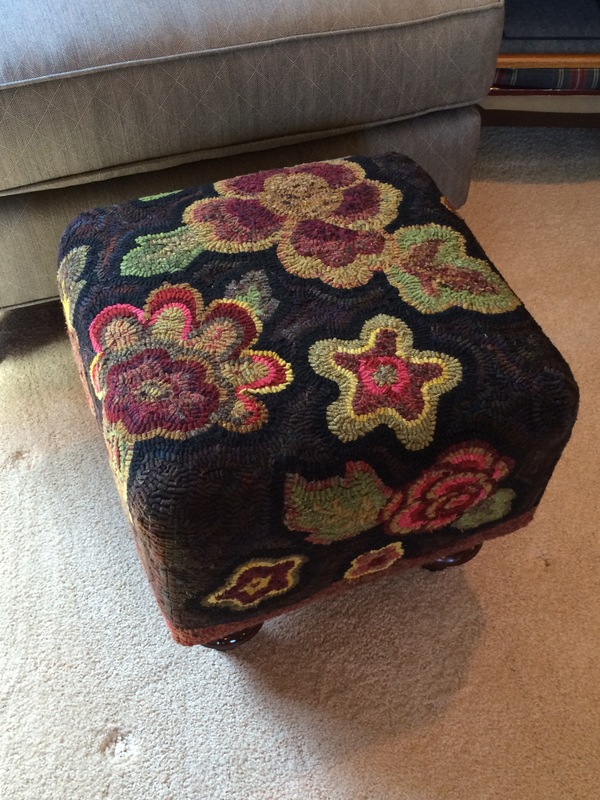 I finished the edges of the rug with wool covered cotton cording. The wool was a stripe, cut on the bias, and I joined the edges like I join quilt binding. Although a little cumbersome it worked like a champ and gave it a beautiful finished look. 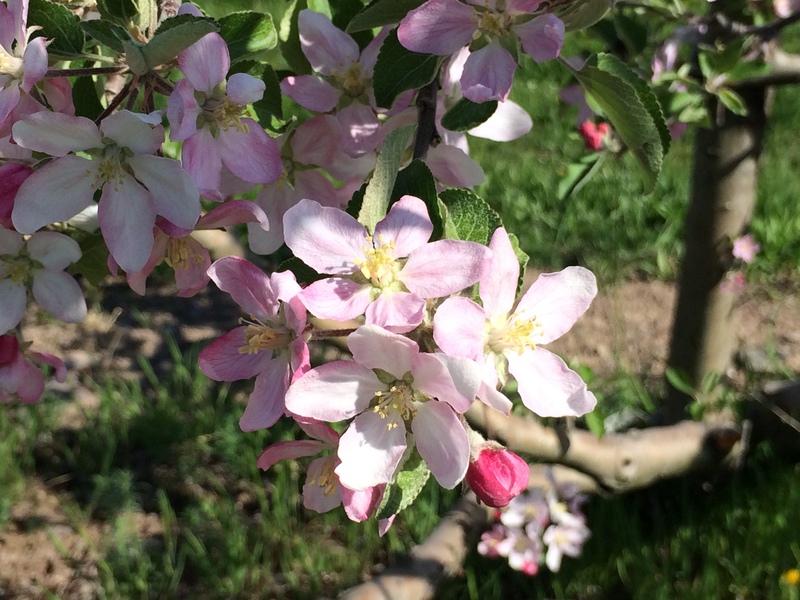 On to the beginnings….I was fortunate enough to get my apple blossom walk at the farm this year. 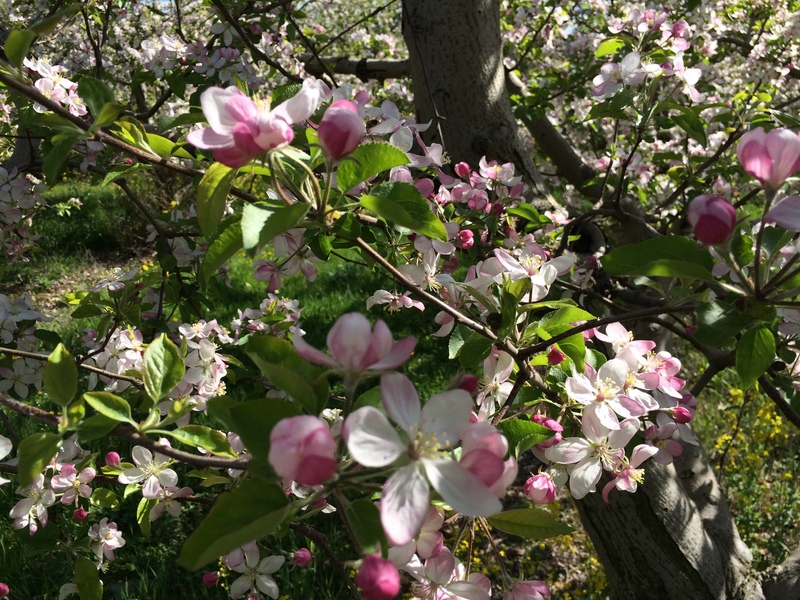 What a beautiful beginning of the next harvest season, the delicate sweet smell of the blossoming trees and the distinct humm of the bees in the orchard doing their job so we may reap the rewards in the fall. This is one of my favorite times on the farm which brings calm and joy into my life. 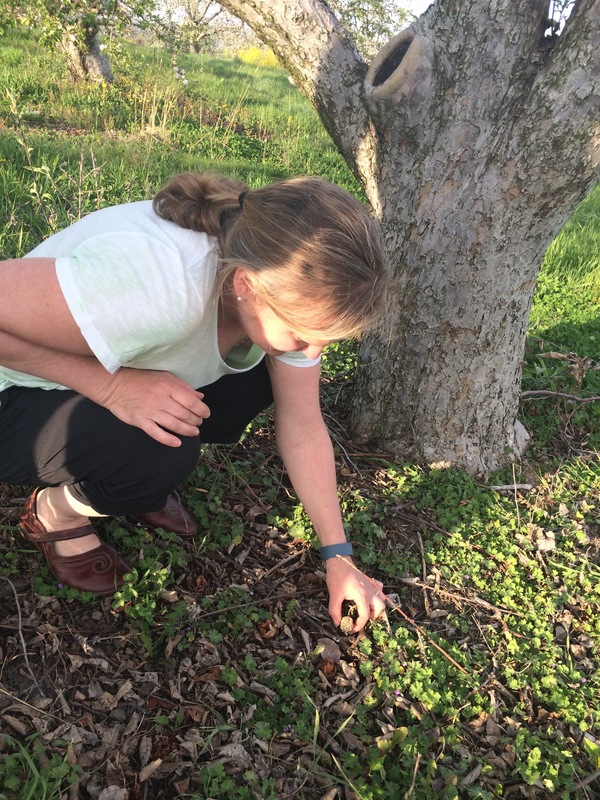 The photo with me is finding a coveted wild morel mushroom in the orchard. 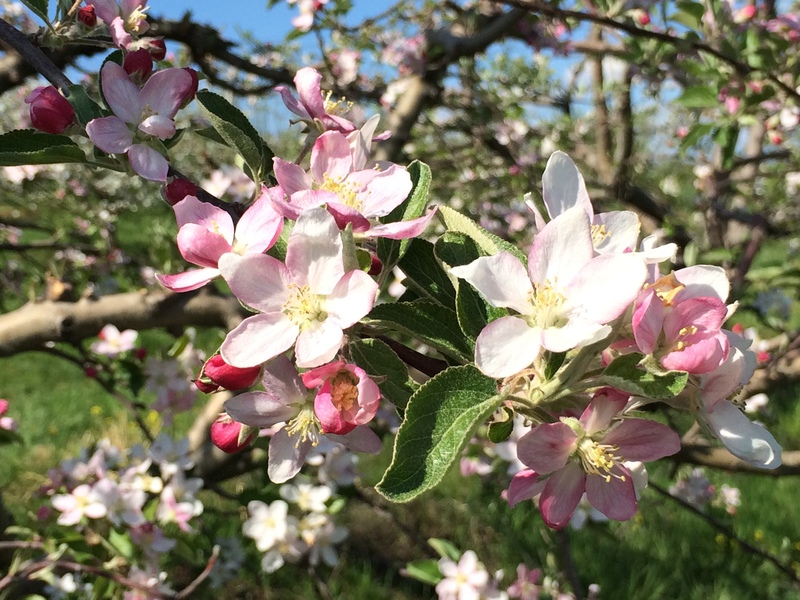 As a child we always spent time each spring picking these delights which I wouldn’t eat. How crazy is that!? What I would give for Mom’s breaded mushrooms fried in butter served in a sandwich! We only found one that day…and to be truthful my nephew, Justin, discovered it then said, “Here Aunt Karen, I know you want to pick it.” Just a little nugget which brought back a flood of memories. 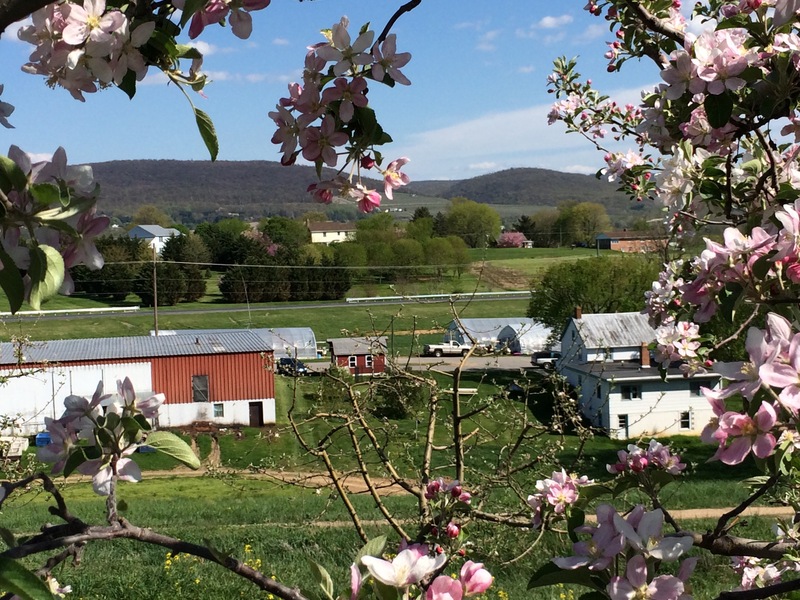 This is my favorite photo of the day, looking down at the farmhouse from the orchard with the mountain in the distance. Then look what I did to it using an app, Waterlogue. 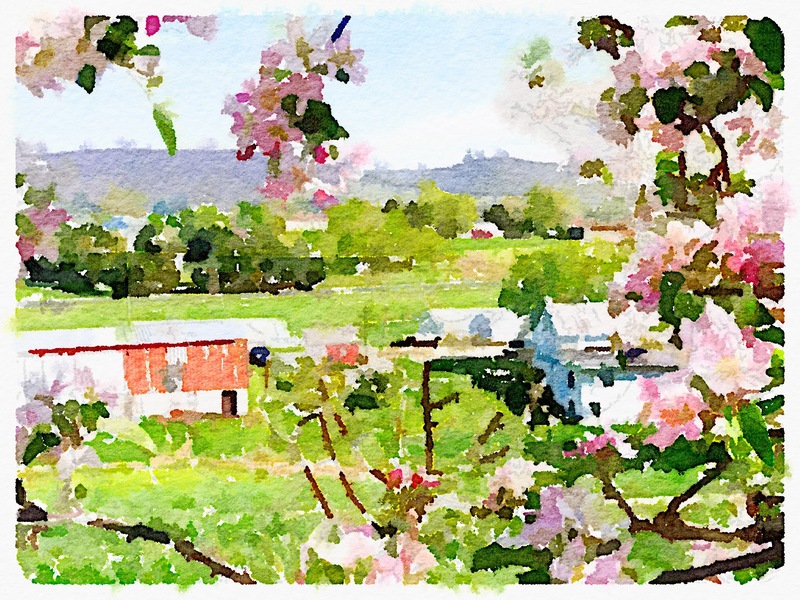 Waterlogue takes a photograph and turns it into a watercolor painting. Maybe I should begin painting again…this could inspire me….just what I need, yet another project! At the Williamsburg house, we have started a new front yard landscaping project. Scrubby trees were removed, old tired shrubbery pulled out, outlines for new beds drawn, estimates for landscape lighting and new irrigation. 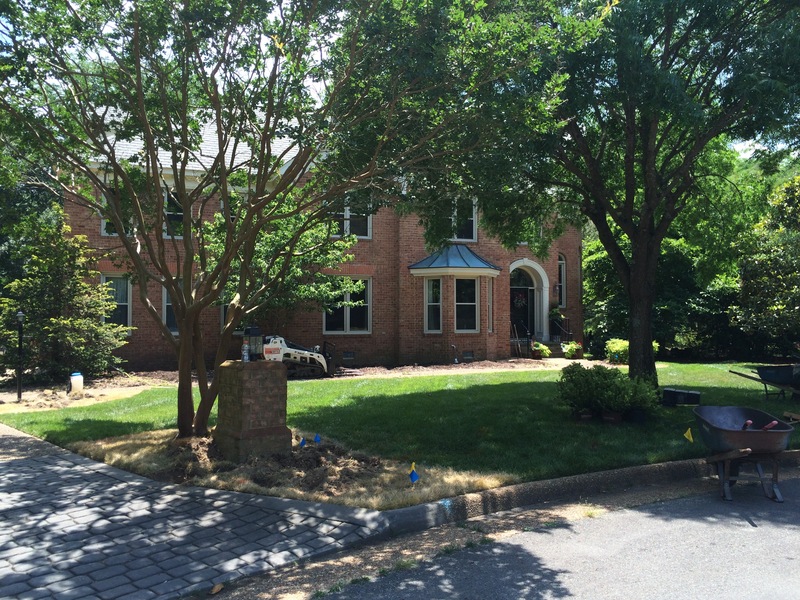 It’s time for a facelift to the landscaping that will highlight the French country look of our house. I should have photos of a big reveal in a month or so.